The POCUS Atlas is a beautiful resource. 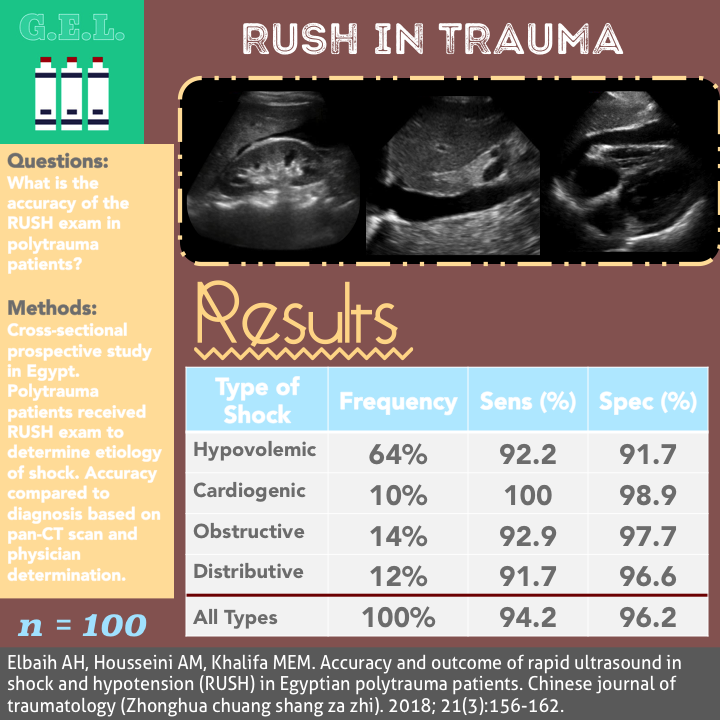 You may be familiar with the Image Atlas, a crowd-sourced compendium of sonographic pathology created to help others learn point of care ultrasound. These same talented creators have recently unleashed the Evidence Atlas - another entirely free resource that summarizes much of the best evidence in POCUS. 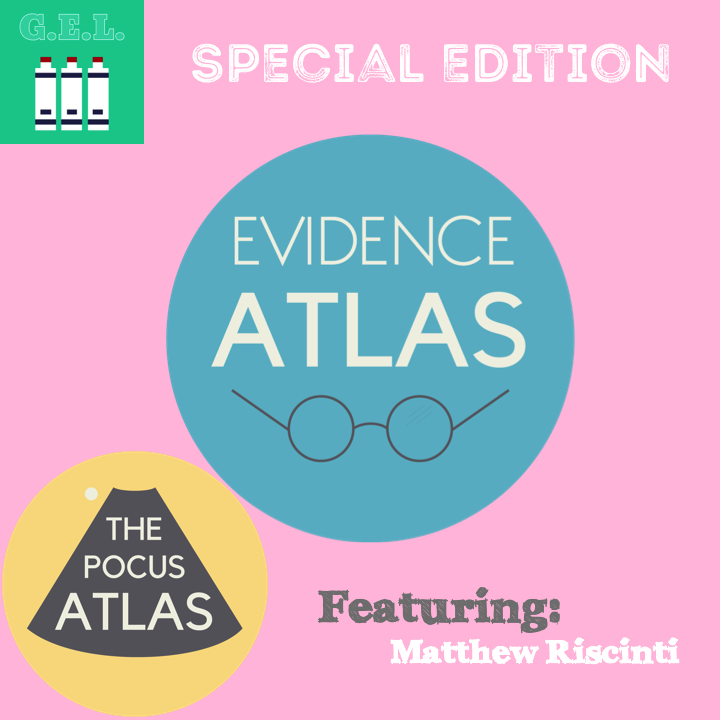 In this special edition interview, we talk with Matthew Riscinti, co-founder of the POCUS Atlas, about how this all came to be. We even do a quick review of one of the Evidence Atlas articles! This seems like a good idea. Chest pain is common. Ultrasound can see many causes of chest pain. 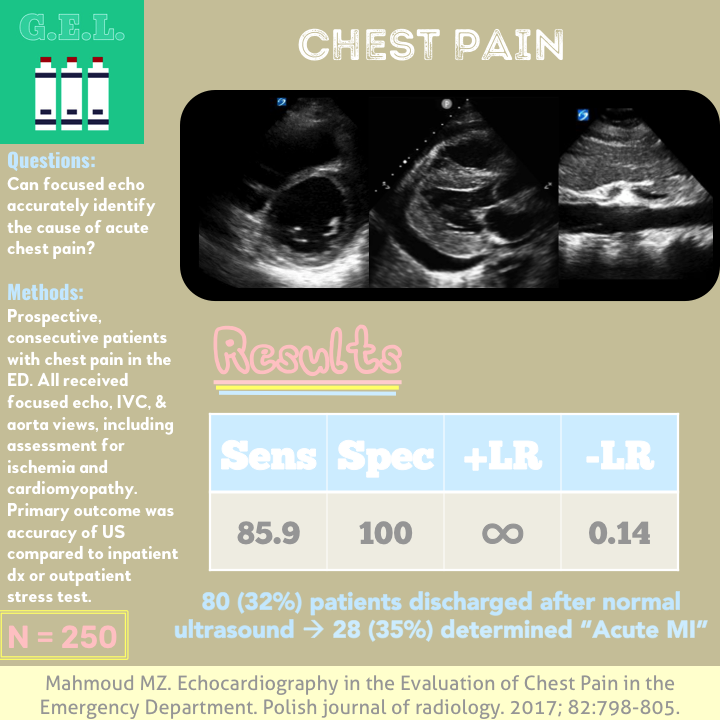 Sooooo lets use ultrasound in patients with chest pain to help with decision making. Well, wipe the smile from your face validity because it is not that simple. This article takes an interesting approach in performing a rather complex "focused" echo in the emergency department and uses it to determine the patient's disposition. The main goal was to see how accurate this method could be. Let's see how this pans out.